BIRMINGHAM – A Cullman woman and Arab man have been charged in connection with the death of an elderly Birmingham couple, police announced Tuesday night. The Tribune's Birmingham news partner, WVTM13, reported late Tuesday night that Zachary Taylor Phillips, 23, and Kristen Leigh Gullion, 30, are each charged with capital murder and burglary in the Aug. 2 slayings of 68-year-old Joe Holt and his wife, 67-year-old Mary Holt. 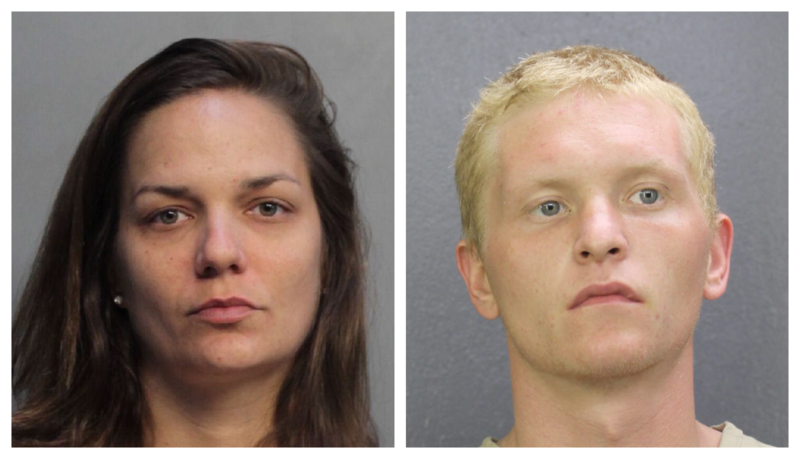 Authorities in south Florida arrested the pair in Florida last week. Gullion was found Thursday, Aug. 9 with a car belonging to the slain Birmingham couple, who were discovered on Thursday, Aug. 2, 2018 at 8720 Ninth Court Circle South in Birmingham. Birmingham police said in a statement on Aug. 9: "BPD investigators received information that the Miami Police Department recovered the gray 2012 Honda Civic that belong to the victims. Miami Police also arrested a subject in that vehicle that had an unrelated outstanding arrest warrant. BPD homicide investigators are currently in Florida gathering additional information." Police said the car belonging to the Holts was discovered illegally parked on South Pointe Drive in Miami Beach. Officers arrested Gullion and later discovered she had a warrant in Cullman County. Although originally reported to be from Decatur, Gullion stated her permanent residence as County Road 1488 in Cullman. Phillips, who resides on County Road 1855 in Arab, was arrested Friday afternoon, Aug. 10, following a chase with police in Hollywood, Florida. Birmingham Police said late Tuesday night, Aug. 14: "The suspects will remain in the custody of Florida law enforcement authorities for unrelated felony charges. Both suspects will be transported back to Birmingham on a later date."